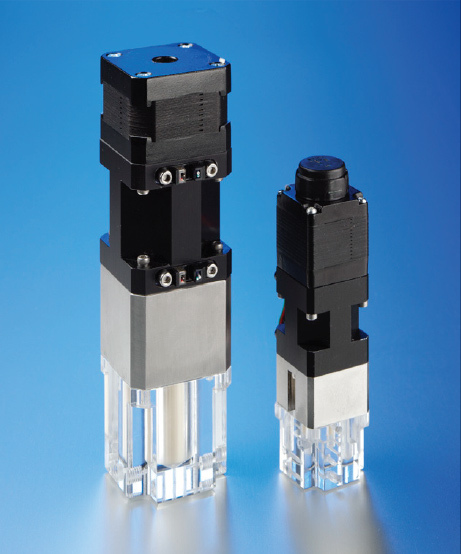 IVEK’s AutoPipettor offers enhanced liquid aspirating, dispensing and aliquoting performance. 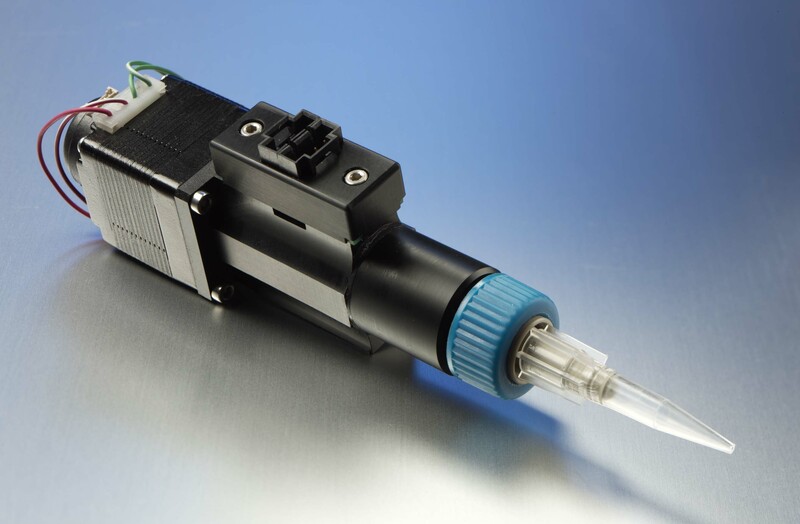 A close-fitting ceramic-on-ceramic piston and cylinder set coupled to a stepper motor linear actuator that yields outstanding accuracy, precision and reliability. 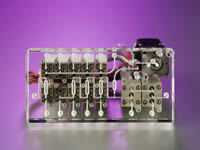 IVEK’s Displacement Pumps accommodate fluid volumes ranging from sub-micro liter through 5mL. Various actuator sizes (NEMA 8, 11, 14, 17), lead screw pitches, ceramic piston sizes, valve options, sensors, encoders and part configurations are customized for each fluidic protocol. Ceramic-on-ceramic piston and guide bearings provide enhanced seal life, and seal wash parts are incorporated for aggressive fluids. IVEK’s rotation/reciprocating Metering Pumps are designed for routine accurate fast liquid flushing/washing and continuous flow operations. Ceramic piston and cylinder and Teflon are the only wetted components. Compact size and price make the Metering Pump a suitable replacement for peristaltic and displacement pumps in many OEM instrumentation and manufacturing applications. 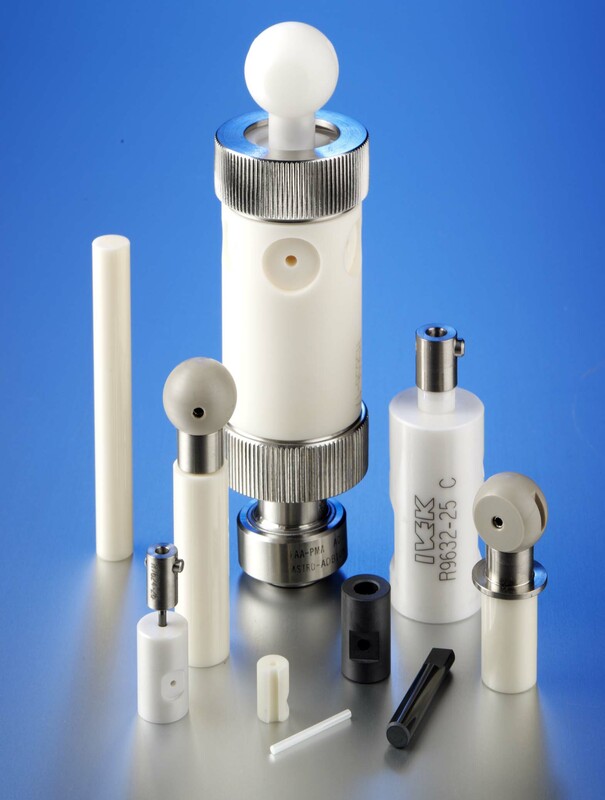 IVEK offers low-pressure ceramic-on-ceramic valves and valve components. 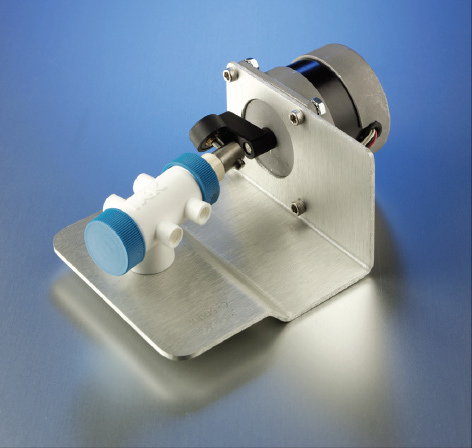 Shear valves can be configured to fit standard syringe pumps or custom designed. Features include zero fluid displacement, extremely long life, inertness and leak-free operation. IVEK is a world leader in the manufacture of finished ceramic (alumina, zirconia) and sapphire pistons, piston assemblies, and cylinder components. Critical finishing processes are controlled in-house. OD tolerance of ±0.00001” and surface finishes of 1 microinch (Ra) are routinely supplied. Fast turn-around of prototypes is accommodated. IVEK Corporation manufactures fluid handling products for the Original Equipment Manufacturer (OEM) or Integrator. This product line includes rotary/reciprocating pump modules and sub-components. All piston/cylinder sets or piston/valve/cylinder sets are made from ceramic. Available pump case materials include 316 stainless steel or Tefzel. Fluid path materials are ceramic, Tefzel, Teflon and/or sapphire. These modules can be mounted with 23 and 17 frame motors as required. IVEK has precision ceramic machining capability that is appropriate to make pump parts for a wide variety of fluidic and other components. 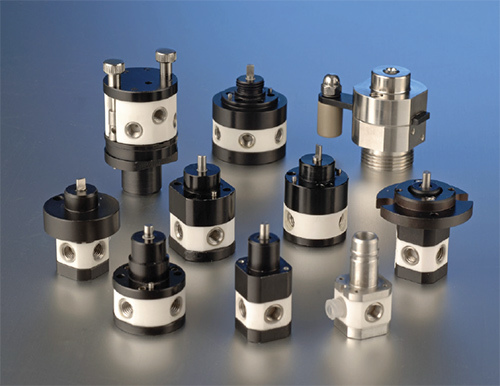 IVEK offers precision machining of shafts and cylinders within tolerances of 10 millionths of an inch. The ceramic components can be assembled with other electro-mechanical components to provide a manufacturing solution for fluidic subassemblies. IVEK provides engineering assistance to convert an application to a ceramic design. This includes specification of materials, dimensional tolerances, application analysis, prototypes and other assistance. Please contact us to discuss your requirement.